I see a trend: people want to be physically surrounded by books. In urban life, there seems to be a common understanding that people tend to consciously or subconsciously become wary of strangers surrounding them. They are always balancing a certain level of privacy with others. 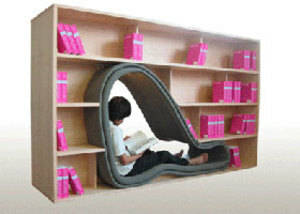 A bookcase CAVE provides a private reading space within its form. As a seat height is just above the floor, CAVE gives a feeling of hiding from others standing around it. Books can be stored on both sides. Therefore, CAVE can also function as a partition of a room. Book lovers know they can read a book and escape into a completely different world. Now furniture designers are attempting to complement — perhaps intensify — this experience with an added physical dimension. I'd like to give this a test-run read. We live in a world of writing games. 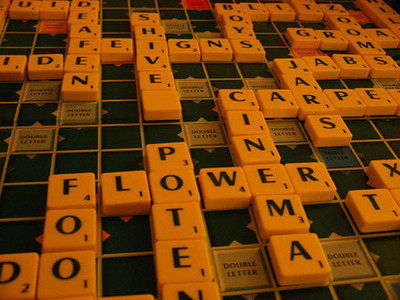 Standard board games like Scrabble, Balderdash, and Pictionary effectively exercise our writing muscles. - Photo Captions. Find any photo that interests you. Set a timer for 10 minutes. Start writing one-sentence captions for the photo. Stop when your time is up. - People Writing. Based on the classic cafe game People Watching. Sit in any public establishment which serves beverages and will let you linger. Find a person who intrigues you. Set a non-annoying and unobtrusive timer for 10-15 minutes, and write your imaginings about his or her life story. - Train Station Poetry. While waiting for a train, look around. 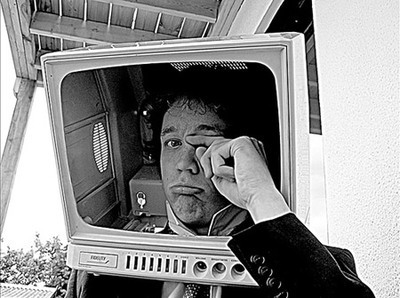 Observe advertisements, billboards, newspaper headlines, graffiti. Grab a few phrases that strike you. Write them down in your notebook. Re-arrange them. Add words to connect them. Is anything forming? The key to all of these: PLAY! Have fun. Be light. Don't judge your work. Let the words flow out of you and onto the paper. This stuff doesn't even qualify as the first draft of anything, though you may really like what you create. What writing games do you play? Welcome, everyone, to Day 4 of "Organizing the Writing Life." Reader question: Is there one catch-all system under which writers can organize everything related to a writing project? Also, one reader asked in a comment from last week's post: Is GTD something you buy? 1) GTD is not something that you buy, it's just a system for organizing. 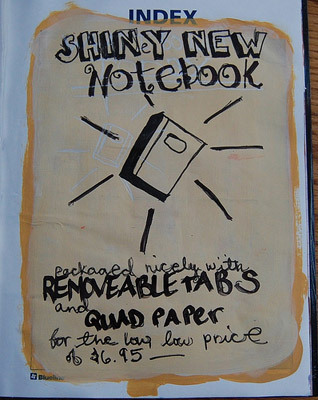 So, you can just use a notebook or plain loose-leaf paper in a binder to do the system, or whatever works for you. There is a book, called Getting Things Done: The Art of Stress-Free Productivity by David Allen. I bought it used for about $9 at Amazon, but if you don't want to buy it, you can just read my blog :-). 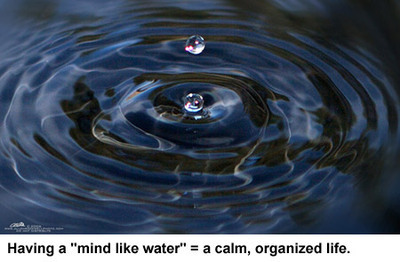 2) I've heard that the GTD mantra is "mind like water". What the heck does that mean? What happens when you toss a stone into a completely calm pool of water? Ripples emanate from the center in perfect response to the impact of the stone. The water neither under-reacts nor overreacts. It simply reacts appropriately to the situation, then it returns to calm. The "mind like water" concept is that our ability to be productive is directly in proportion to our ability to relax. The better we're able to react appropriately to situations and return to a state of calm, the more we'll be able to get done. It's a state of mental focus where you're completely relaxed, in control, completely aware of your surroundings, yet 100% focused on the task at hand. You are not overly exerting yourself or "gutting it out" or straining in any way. You're simply relaxed, focused, and able to exert minimal effort while still operating at optimum efficiency. This is what we're shooting for with the GTD approach. 3) What are the main concepts behind GTD? a) The Collection stage is where all stuff is gathered together in an unstructured manner. This stage involves writing down whatever things one can think of that needs doing (possibly using trigger lists), and all places where relevant information might accumulate, such as in folders and drawers, are emptied into one place. --- Does the item require further action? If so, we can either (i) do it now, recommended for tasks that can be completed in under 2 minutes, (ii) delegate it and place it on a monitor list, or (iii) defer it, by assigning a next action to it and placing it on an action list. --- If not then we should look for any value the item has. Might the item suggest future action given further thought? Then we should incubate it, putting it on a sometime/maybe list. Does the item have archive value? Then file it. --- If the item demands no action, is not a spur to future thought, and does not have reference value, then it is junk and you can junk it. c) The Organize stage takes these sorted items and puts them together in a form than can be used through the day for allocating tasks to time. 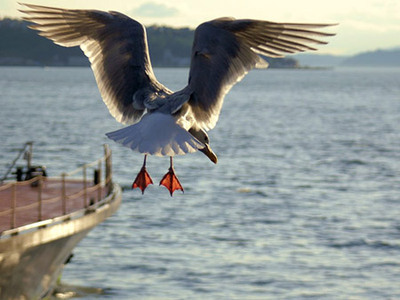 d) Regular Reviews ensure the organization is a system that can be trusted, by scheduling collect & process stages to ensure that nothing escapes, ensuring that projects are associated with sensible next actions, pruning action lists of irrelevant actions, and looking over sometime/maybe lists for new spurs to action. e) Finally, through the working day, the Do stage uses the organized task lists to get things done. When you're trying to start a new time-management system, it can feel overwhelming because you think it's going to up-end your life (and your desk), wanting you to buy lots of fancy organizing tools and stuff, but you really don't need any fancy devices (unless you'd like to go for a fancy pencil and fancy paper :-)). If all of the steps seem overwhelming, you can make a huge impact on your productivity simply by taking the first baby step of getting a binder with tabs or a divided notebook and doing a mind sweep of all the things that are floating around your head. For anything that is on your mind, whether it's your mother's upcoming birthday, the book you're writing, or the overall meaning of life, get that information out of your head and into one of your lists. The lists are pretty simple, but they have the potential to make a powerful impact in your ability to relax, which improves productivity and creativity. For me, I think the two life-changing ideas behind GTD are the "mind like water" mentality (the more you can relax, the more you can get done), and also the idea of "stop trying to store information in your brain". 2. "Multi-tasking is a fairytale"
Tomorrow is Day 4 of the "Organizing the Writing Life" series with organization guru (and guest blogger) Sharon Sarmiento. She'll cover more about the "best" organizational system ever, and also some great questions related to last week's post. "Productivity Tools: Avoiding the "shiny, shiny" trap". Basically, I just use a Mead 3 subject notebook I found at Target. It probably cost less than $5. For the calendar, I use a generic monthly/weekly organizer also found at Target. It doesn't matter what the brand is, just as long as it's the right size for you (some folks like bigger, others smaller) and it has it so you can write stuff in the weekly area. It's all pretty simple--all stuff you could find at Walmart or Target. If you wanted to, you could make your own dayplanner list system from scratch by going to diyplanner.com. Beware though--I sort of got obsessed with the idea of crafting my own dayplanner a few months ago, and it ended up taking way more time than it should :-). In the end, I just decided to buy the notebook and the organizer. Contest for writers of "short fiction"
Jason Evans over at "The Clarity of Night" is hosting something of interest to writers at his blog. It's called the "Endless Hour" Short Fiction Contest. This is the second contest that Jason is running. I didn't participate in the first one, but I was a spectator. His blog's writing community is active and creative. He set up an interesting challenge for writers, with really nice prizes for the winners. The entries he received were incredibly well written. Well done! Too many projects I have going on now will keep me from participating, but if you decide to give it a go, drop a line back here and let us know how you did. I've got a post up at PSFK today about ELLE Magazine's second annual "Green issue." This is noteworthy because while the eco movement is currently in fashion, ELLE covers it completely and in a very multi-faceted way. I learned a lot of new information about environmental issues from its stories. Read more about the issue here. In order for us to heal the planet's woes, reduce our carbon footprints, reduce global warming and stop an environmental catastrophe from destroying life as we know it, the eco movement has to get regular and serious coverage across all media. To the hopeful benefit of us all, 2007 and beyond looks to be very "green."